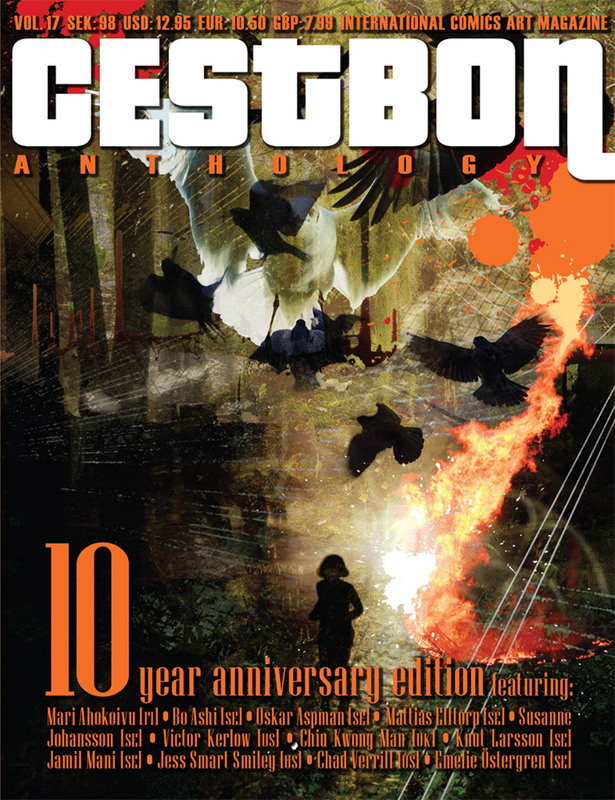 10 years of C'est Bon, 10 years of broadening the horizons of what comics can be, 10 years of comics as art, of art as comics. We celebrate this with return appearances of some of the great artists who have been in the anthology before. Authors: Bo Ashi [SE], Chad Verrill [US], Chiu Kwong Man [UK], Emelie Östergren [SE], Jamil Mani [SE], Jess Smart Smiley [US], Knut Larsson [SE], Mari Ahokoivu [FI], Mattias Elftorp [SE], Oskar Aspman [SE], Susanne Johansson [SE], Victor Kerlow [US] ISBN: 978-91-979570-1-4.